Following on from hijacking Kim's thread on handling, can people let me know if they would be interested in a 993 owners day in the new year?? I've contacted both regarding prices for group bookings/discounts, but a gauge of interest would be useful. If we're struggling for numbers, we could always invite other Air Cooled, and if that fails we could include the Kettles! 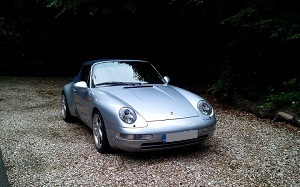 Posted: Thu Dec 01, 2011 3:13 pm Post subject: Re: 993 Owner's Driver Training Day - Interest??? if that fails we could include the Kettles! Don't they have all sorts of electronic nonsense to remove the issue between seat and steering wheel? Rob thanks for taking the lead on this!! Any preferences between CAT (Milbrook) and Car Limits (North Weald Airfield)? Thank you for thinking about this. North Weald could be of interest subject to cost, just moved house, had another baby, Christmas and all that! We're already potentially at 6 people already, so would have to be two dates if Car Limits (hopefully would sway a bigger discount!) plus logistically people will have to drop out or not be able to make dates. Keep 'em coming. The more the merrier. I'm going to aim for the CAT Driver Training Day and try to get the best price I can for a full 8 car session, much as North Weald is closer for me. If someone also wants to organise a North Weald day (as I know a few of the interested parties are in the Essex neck of the woods) I might well be up for attending that too, any volunteers to organise that?? Max of 4 per day so might already have enough for that. I'll still see what price I can get from my initial contact. If you didn't express a specific interest in either, please could you!! NB. I will check with Jo (when she returns) at CAT Driver Training how much we get to use our cars rather than theirs! There is a timeslot for own car use, but did people want to extend that, if possible?? I'm interested if there are any more spaces? For me personally, I want someone to teach me how to drive a 993 properly. Not interested in drifting Subarus and Caterhams. If they can do driver training in my car on the CAT course then I'm in.